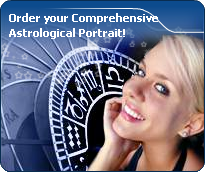 You will find on these pages the celebrity horoscopes having Jupiter in the 12 houses with an interactive chart and excerpts of astrological portrait. Jupiter symbolizes abundance, warmth, blossoming, good luck and self-confidence. He also describes the potential for good fortune and the way the individual expresses his enthusiasm, his benevolence, as well as the way he integrates into the mainstream. Jupiter is the biggest of all planets. Therefore, he is associated with wealth, glory and honours, and he also is a success factor. Although he is often beneficial, he may show a tendency towards exaggeration and pretentiousness, and sometimes, he promises more than he can deliver. When Jupiter is a dominant planet, the individual is generous, outgoing and enthusiastic. He has charisma and usually loves children. Jupiter represents public persons who offer supports and protection, as well as lawyers and politicians.